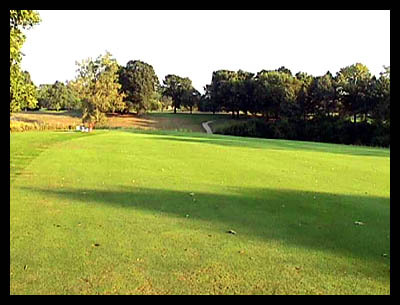 Comments: This photo looks back to the tee and is taken from about 220 yards off the white tee. The tee box is located just to the left of the cart path running up the hill. Notice how the terrain falls away here.